A beautifully handcrafted glass focal bead captures the essence of a Pohutukawa tree against an organic landscape. Each tree bead begins with the formation of the landscape, created using multiple layers of coloured glass that has been pressed into a lentil shape. 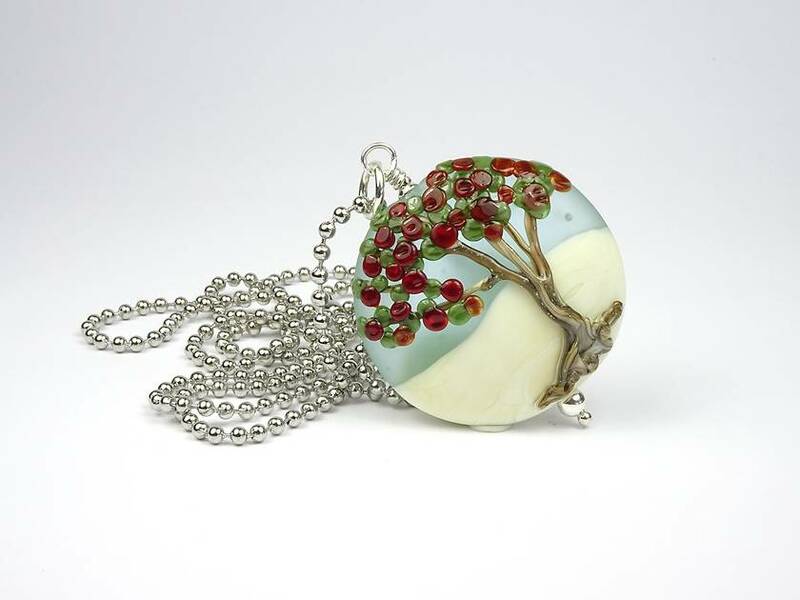 The tree is painted onto the bead using thin strings of molten glass. 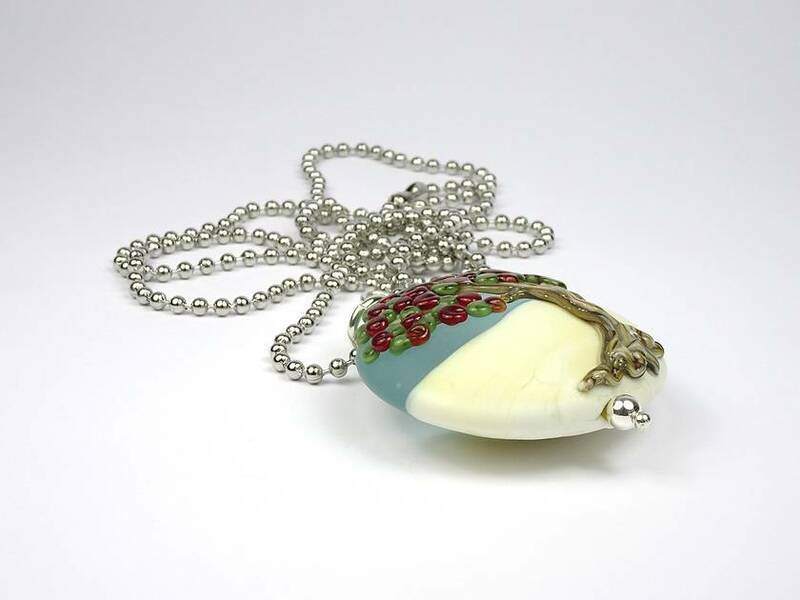 The back of the bead has not been decorated and showcases the landscape colours, so the pendant can be worn any way. 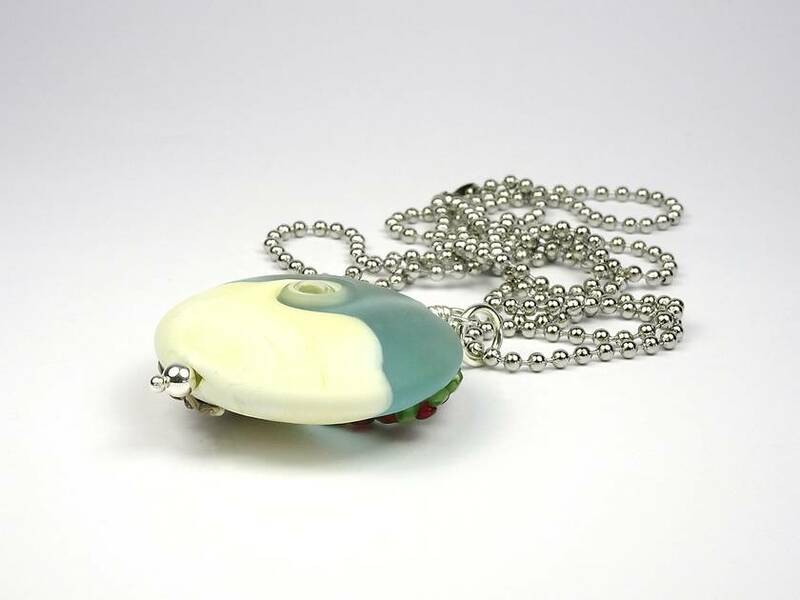 The bead is then annealed for several hours in a digitally controlled kiln giving the glass lasting strength, before being thoroughly cleaned and turned into a pendant for your wearing pleasure. This bead has been softly etched and the tree retains its shine. 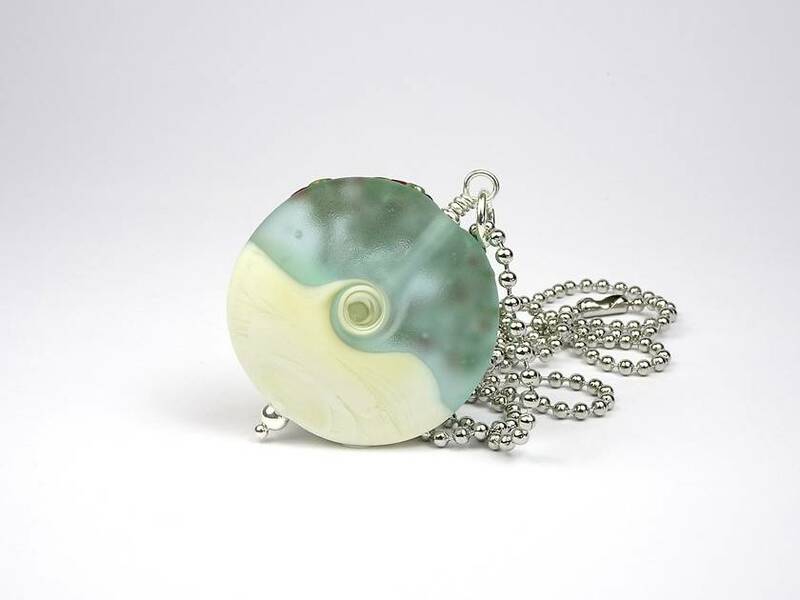 This pendant measures 35.5 mm round, and 15 mm thick. It is finished with sterling silver and hangs from a 32 inch stainless steel ball chain. Sterling silver chains are available for an additional cost.